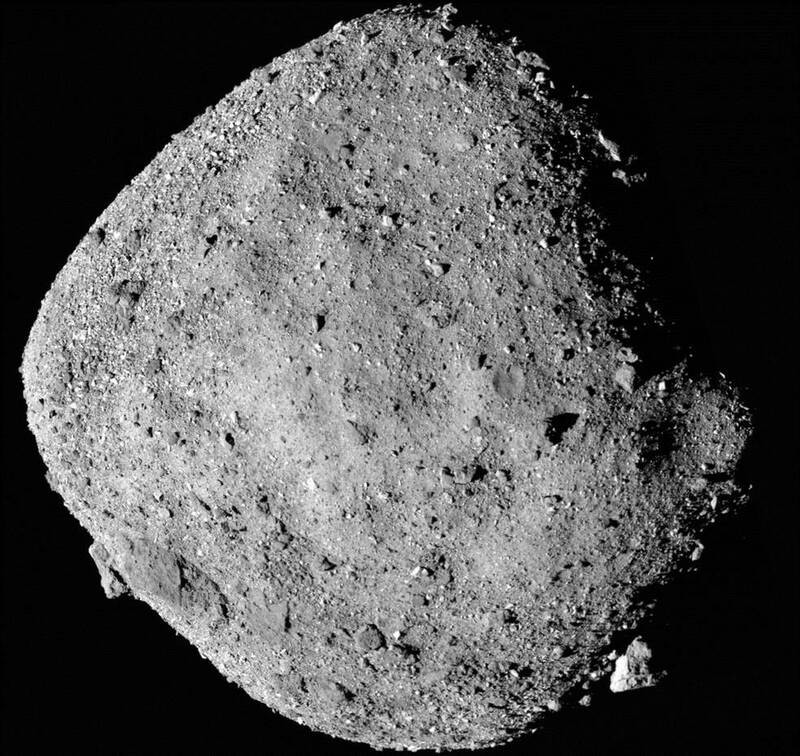 December 10, 2018 – Recently analyzed data from NASA’s Origins, Spectral Interpretation, Resource Identification, Security-Regolith Explorer (OSIRIS-REx) mission has revealed water locked inside the clays that make up its scientific target, the asteroid Bennu. During the mission’s approach phase, between mid-August and early December, the spacecraft traveled 1.4 million miles (2.2 million km) on its journey from Earth to arrive at a location 12 miles (19 km) from Bennu on December 3. During this time, the science team on Earth aimed three of the spacecraft’s instruments towards Bennu and began making the mission’s first scientific observations of the asteroid. OSIRIS-REx is NASA’s first asteroid sample return mission.